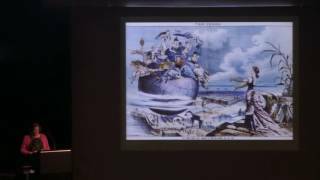 Sally Main, former senior curator at the Newcomb Art Museum, Tulane University, delivered this lecture in connection with the exhibition Women, Art, and Social Change: The Newcomb Pottery Enterprise on display at the Frist Art Museum from July 29 through November 6, 2016. Newcomb Pottery, in operation from 1895 to 1940, represents an achievement unsurpassed by any other group of women artists in the United States. Conceived in the late nineteenth century as an educational experiment, the enterprise offered New Orleans women opportunities to better their lives by training them to create one-of-a-kind decorative objects that would generate meaningful financial compensation. The enterprise became a model industry within H. Sophie Newcomb Memorial College, the women’s branch of Tulane University. During its forty-five years of existence, the enterprise provided full- or part-time employment to approximately ninety-five women, whose accomplishments are visible in the items they made. Their success is all the more remarkable given the climate of conflicting economic and ideological circumstances that confronted post-bellum women in the American South.